The strong Trade Balance report supported the USD and weakened the GBP. This pair is still under the influence of Brexit issue. After the UK referendum GBPUSD has been moving with bearish bias. 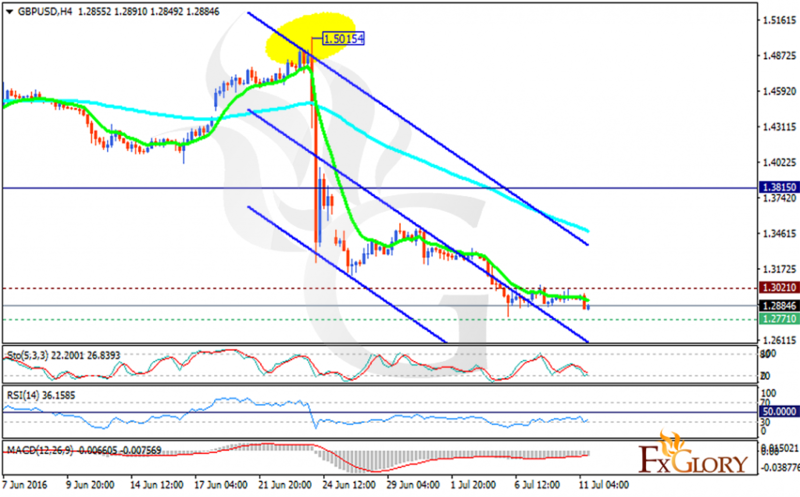 The support lies at 1.27710 with resistance at 1.30210 which both lines are below the monthly pivot point at 1.38150. The EMA of 10 is under the EMA of 100 and they are both falling down. The RSI is below the 50 level, the MACD indicator is in negative territory and the Stochastic is showing downward momentum. It seems that this pair will continue its downward trend within the descendant channel targeting 1.2700.